A new year, a new way of marketing? In the past 7 or 8 years the traditional methods of marketing have shown declining effectiveness. At first the decline was slow overall, although more accelerated in some categories than others. The decline in effectiveness of traditional methods was most visible in categories such as services, hospitality, beverages and entertainment at first. Now it is quickly spreading to all categories. Miller Lite was a classic example of the traditional method. “Taste Great. Less Filling” along with some brilliant advertising and heavy media spending drove the brand to the number 2 market share. But from 1994 to 2003 the brand went from a 23% market share to an 18% share. Looking more narrowly at the light beer category, Miller Lite lost the number 1 position to Bud Light. By the rules of brand positioning that shouldn’t have happened. Miller Lite had a strong differentiating claim, while Bud Light had no product differentiation at all in its advertising. By 2010 Miller Lite lost the number 2 position to Coors Light. At the same time, marketers continue to use the old methods. In part, I suspect that the continuing Great Recession is to blame. I call it “The Tepid Trap”. The economy is bumping along too slowly to give marketers great confidence in the future. Yet business is not in such a tailspin that people will take the leap of faith to a whole new approach. Tepid economies result in tepid marketing strategies (okay, a gross generalization, I know). From personal conversations with people on the corporate side, I sense a certain flight to safety and conservatism. Not in the political sense but in the sense of avoiding risk or substantial changes that will leave a person exposed if it fails. It seems like an unconscious reflex, avoiding danger until business really picks up and there is more leeway for experimentation and risk taking. Of course this is a broad generalization and many individual companies are bolding moving in new directions. McDonald’s, Visa (whose stock is up over 40% year over year), Samsung. So what will 2012 bring? 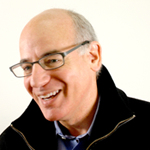 Will marketing stay in the Tepid Trap? Or will we spring out of it? I am an optimist. I believe that 2012 is the year of reinventing marketing. 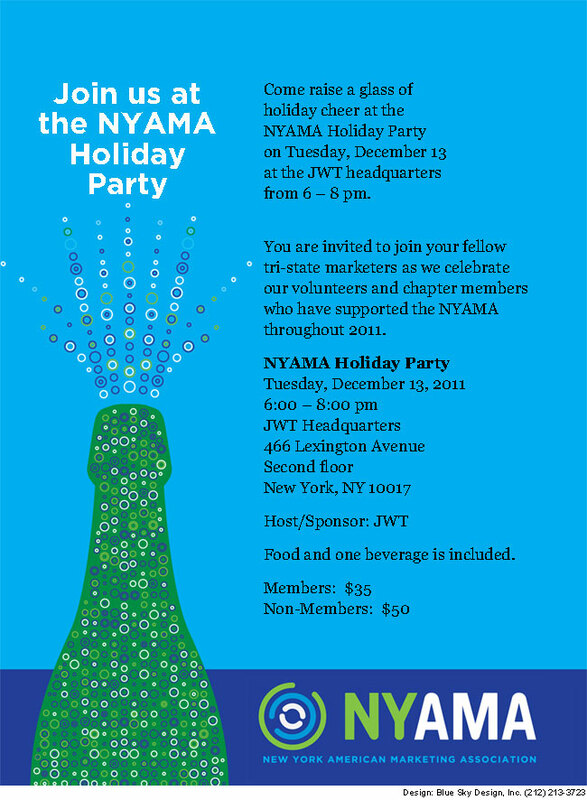 This Is Real Social Media – or – Come To The NYAMA Holiday Party on December 13th! Yes, it’s that time of the year when marketing pulls out all of the stops but marketers occasionally stop to enjoy some of the holiday cheer. We are kicking off a new tradition at the NYAMA — a festive holiday party on Tuesday, December 13th. Everyone is invited and encouraged to come. It’s a chance to meeting people from all areas of marketing including brand management, advertising, market research, design, pr and social media, mobile marketing and so on. Sign up at the nyama.org website! I am also requesting your help. I’m going to be making some brief remarks about some of the milestones in marketing of the year behind us and 10 predictions for the year ahead. This is where you come in. It would be swell if everyone reading this sent in suggestions on either milestones of this year or predictions for next year. I’ll compile them and use them on the 13th.